By Daniela Stolfi-Tow – Hello, I am an APP addict. It’s been three minutes since I last used an APP. And it was appropriately called “APP Addict”. Yes, there is even an APP developed for people who are addicted to APPS. 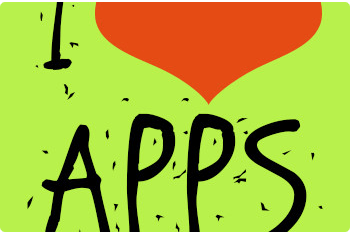 So what is an APP and why be APP crazy? The word APP is short for “application.” In this case it refers to a software application. An APP typically refers to software used on a smartphone or mobile device such as the Android, iPhone, BlackBerry or iPad, as in “mobile APP” or “iphone APP.” Basically it is software that you can use online through a browser, instead of the software residing on your computer. There are APPS for just about anything you can think of, and they have allowed us to simplify things like managing day to day tasks, doing banking on the go, or just indulging in mindless entertainment. You can even have your own personal trainer, accountant or guru in your back pocket. This APP provides 10-minute meditation sessions. You start with a brief body scan and then Andy Puddicombe, cofounder of Headspace, talks you through with easy banter and relatable instruction (“Don’t force your breath, your body already knows how to breathe”). The APP provides animations about how the mind works and tips on how to sit and breathe. It also allows you to set meditation reminders and track your activity. Avoid expensive speeding tickets. This APP actually alerts you when you are driving into a speed trap. Do you feel so grateful sometimes that you want to share your feelings with the rest of the world? Do you want to know what others are grateful for? Gratitude Stream is a global “stream” of good thoughts and thanks. Expressing gratitude is a scientifically proven method of boosting your short and long-term happiness. (Even Oprah promotes keeping a gratitude journal!) Join in and spread the cheer or simply enjoy and let the ‘stream’ wash over you. One of the hardest things to do is simplify your life. I find that often to be true and sometimes creating a simple distracting and creating or simply “do-ing” something simple is a great way to create that simplicity even if just for a short period of time. The iZen garden app allows you to create literally endless traditional Japanese rock gardens, know for their calming properties. Adjust your rocks, place your stones, add wildlife and more. Simply point the camera to the sky, tap on what you see and discover really neat things about sky objects. SkyView Free is unique because it blends the camera view with incredible 3D graphics of the sky objects to provide a really neat Augmented Reality (AR) view of your sky. With Hair MakeOver you can try on many different kind of hairstyles in less than a minute. The Makeup Mirror APP turns your front-facing camera into a high-quality mirror for touch ups on the run. Not only listening, but playing music can be a great remedy for a case of the blues. The APP actually connects you with other people and lets you perform duets with people all over the world. Magic Piano is a must have for anyone with the case of the blues. This APP is designed to interrupt the cycle of thoughts and body sensations that fuel a panic attack and to help regain control over breathing. The APP incorporates mindfulness and cognitive behavioral techniques and more. [WARNING 10 on the addiction meter] Want to create trees, beasts and new humankind just by a mysterious finger touch? Now, you have got the great opportunity to that. It is really easy. You should drag an element and combine it with another one. If it can combine you will discover new elements.